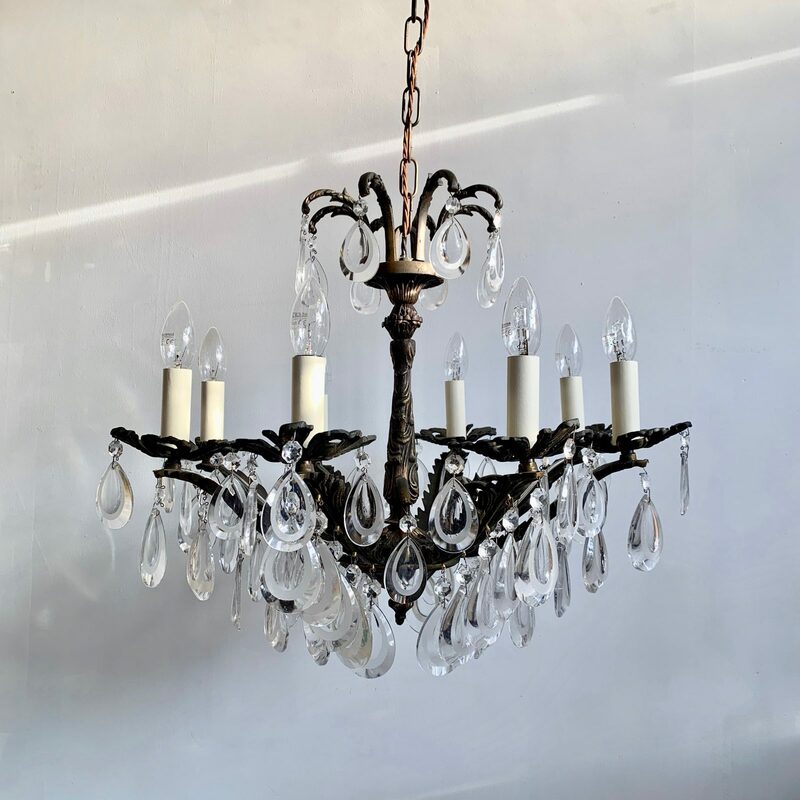 This heavy cast ornate brass chandelier originates from early 1900s France and is dressed in flat pear drops with frosted details. The chandelier frame is heavily oxidised and holds eight lamps. The top brass crowns on the chandeliers emulate leaves, each holding a drop. There are added floral details on each arm. The dark oxidised frame has not been polished back to retain its natural aged effect. The chandelier comes supplied with braided flex, chain, a ceiling rose and chandelier hook plate. Chandelier requires SES lamps, these are not included.